In June, we’ll be hosting the Nonprofit Blog Carnival. There’s no tilt-a-whirl or candy apples involved with this carnival, but we will try to take you on a thought-provoking ride and serve up some fresh ideas. Each month, we ask bloggers to contribute their thoughts on a nonprofit theme and offer a round-up of submissions at the end of the month. There’s been a lot of talk about the importance of transparency and effectively measuring and demonstrating impact in the non-profit sector. 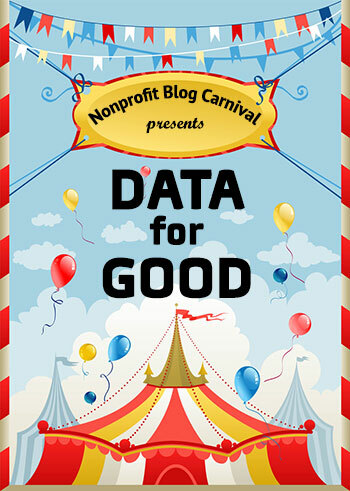 So for the June Nonprofit Blog Carnival, we want to hear all about Data for Good. How are you using data to tell your organization’s story? Are you striving to be a “data-informed” or “data-driven” organization (as Beth Kanter suggests)? How are you measuring outcomes? What barriers or hurdles do you face in producing useful data? What advice can you offer non-profits who are “data-challenged”? If you’d like to share your thoughts on Data for Good, submit your post (or send along one you’ve published recently) – by emailing the URL to nonprofitcarnival@gmail.com – no later than Tuesday, June 25, 2013. Then check back on this blog on Thursday, June 27th to see the full Data for Good carnival round-up. During the month of May, Erik Anderson (Donor Dreams Blog) has been serving up “anonymous letter[s] to a nonprofit board about something they do that drives you crazy”. You can head over to the Donor Dreams Blog today to check out the Nonprofit Blog Carnival round-up of “Dear board volunteer . . .” letters. If you want to become a “Friend of the Carnival” and receive emails twice a month with reminders about the Carnival - click here to sign up. We can't wait to see your Data for Good submissions - here's the email: nonprofitcarnival@gmail.com.